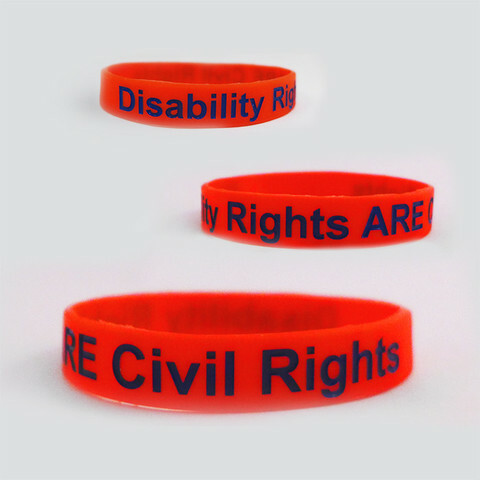 - One awareness bracelet that says, "Disability Rights ARE Civil Rights." Bracelet is red with blue ink. Length is a standard 8 inch silicone bracelet and will fit most adult wrists. 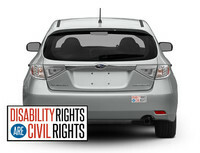 - One button that states "Disability Rights ARE Civil Rights." 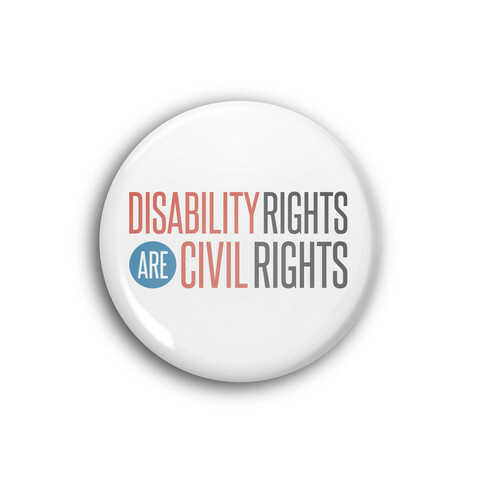 Buttons are 1-inch round pinback buttons. 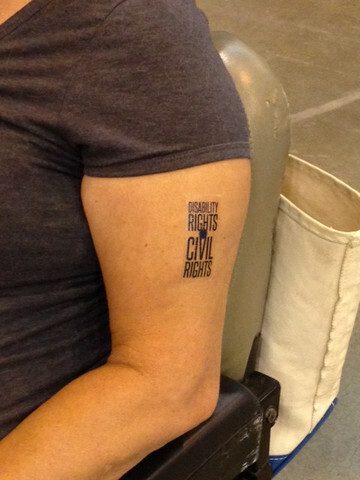 - One temporary tattoo that states "Disability Rights ARE Civil Rights." Tattoo is 1.5" x 2.5" in dimension and will last several days.